Cat Context 44: SOE Closures and Hints of a New Star Wars Galaxies? 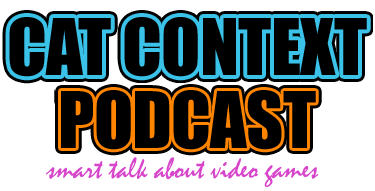 Episode 44 of the Cat Context Podcast is now available! This week, Liore, Arolaide and Ellyndrial attempt to have a reasonable discussion about Sony Online Entertainment’s announcement to shutter 4 of their MMOs – while also hinting at something new that will totally appeal to Star Wars Galaxies enthusiasts. Instead, we discuss the finer points of cities that were rejected by football teams, how to not do a proper segue, and zombies. When we DO stay on topic, however, the discussion touches on the ownership of digital goods, how much we will care when WoW goes away and we can no longer fly on our Sparkle Ponies, and how much real world money Liore’s hat collection ought to be worth. We follow up with a bit of discussion on whether SWG would actually be played now, and which parts of it are “good” old school as opposed to “bad” old school. Finally, we have a discussion about what we have been playing! Serious Sam 3 is awkward. Broken Age is great! Liore really does want some anarchy, even though she is wrong.